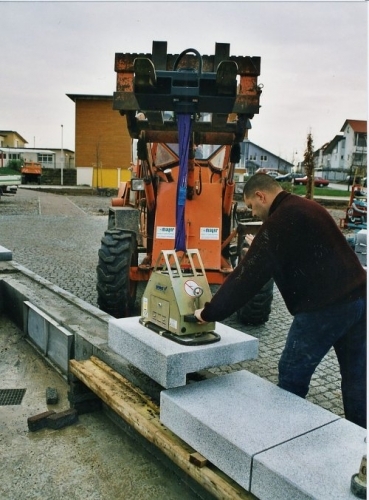 The Probst SM 400 stonemagnet is a powerful, cordless vacuum lifting device for the handling and laying of dense stone slabs, concrete elements, pipes and similar products. This unit is designed for heavy duty work on construction site. The SM 400 is fitted with 2 vacuum pupms as standard this enable the SM to carry out special liting operations on either dense products or slighty porous material. Safety feaures include a flashing light to warn of low pressure, automatic control system to start the vacuum pump if loss of pressure, a manometer and high volume storage tank.